Final weeks. Must end 27 April. 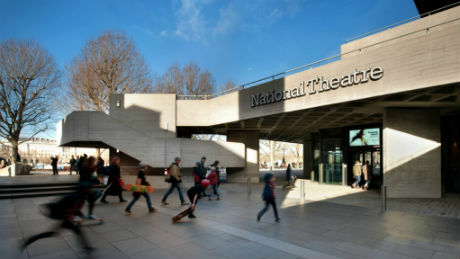 On the South Bank of the Thames, in London, the National Theatre presents up to 25 new shows a year. There are three theatres, a learning centre, theatre tours, restaurants, a riverside bar and a bookshop. Our productions also play in the West End and on tour. We broadcast to cinemas worldwide through National Theatre Live, stream plays free to UK schools, and produce a wealth of digital content about theatre. 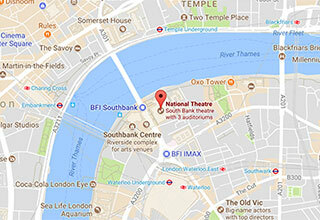 Find out more about the National Theatre. American Express® Cardmembers can enjoy pre-sale booking for new seasons, reserved seating, special offers and more. Find out who HRH The Duchess of Sussex met during her visit. Public Acts is the National Theatre’s nationwide initiative to create extraordinary acts of theatre and community. Marlene knows the future belongs to women like her. Watch the new trailer for Top Girls. If you have a ticketing question, see if it can be answered in the FAQs of the Tickets section of the Help Centre? The Royal National Theatre is a registered charity no.224223. Registered as a company limited by guarantee in England no.749504. © NationalTheatre The Royal National Theatre is a registered charity no.224223. This site requires cookies, for account access and ticket purchasing. It looks like cookies are disabled in your browser. Find out more about changing your browser cookie settings.